Vancouver Island Coachlines' New Buses, Victoria. Vancouver Island Coast Lines Faegeol brand bus on Courtney Street, Victoria. 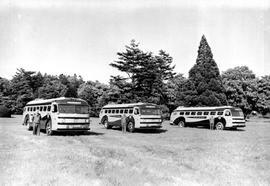 Victoria city buses at Garbally Road, Victoria. Victoria, Vancouver Island Coach Lines No. 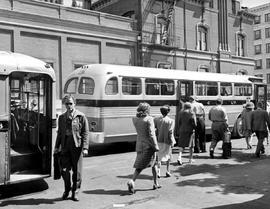 516, 1955 General Motors Bus. Victoria, Vancouver Island Coach Lines No. 703, 1967 General Motors Bus.